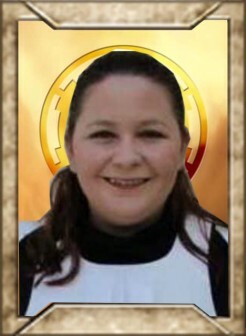 It is sad news that we report the loss of another legion member, Cody Parker TK-80127 from the Mountain Garrison passed away on the 15th January 2019. 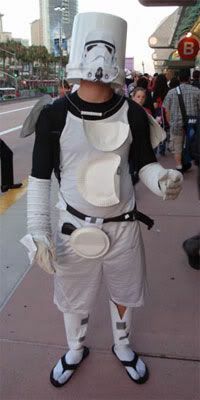 Cody was a quiet trooper, and enjoyed trooping in the anonymity of the stormtrooper armor. Our condolences go out to her family and friends. This is my last newsletter article of the term and it’s while one would think it would be a sad moment, I’m actually quite grateful. The great Roman general Scipio Africanus said (in effect), 90% of life is how you respond to it. The membership came together after a tough early part of the year and re-established this community as the most helpful and positive detachment in the Legion. The DO’s are doing a fantastic job, we have developed a solid social media presence, we’ve refreshed all of our branding and the newsletter keeps getting better every issue, the Pre-Approval program is doing well enough that other detachments are asking how to copy that and we’ve also managed to keep our CRLs up to date and prepping for another round of updates soon after elections. Even merchandise after a brief hiatus is fully back up and running with new items coming out all the time. And this is just the start! I’m especially grateful for the 2018 staff who bounced back with grit and can-do attitudes and helped everyone move on and get back on track. Their dedication and integrity to this detachment is unsurpassed and I will never forget their sacrifice, and we are poised now for an even better 2019. Many new members have also joined in and contributed to the tradition of openness and friendliness with helpful and constructive posts to questions. Every day I visit FISD I seen positive examples of people helping each other out. As always when not DL, I’ll still be on staff as FISD Founder to ensure continuity DL Emeritus and Keeper of the Archives, and will ever assist and help the detachment leadership team in anything they need. I’m looking forward to having more time to participate in general discussions help out more as an individual. So yes, when one door closes, another opens up as the saying goes. Thank you all once again, and I look forward to seeing everyone on the boards! It's that time of year again where we all get to experience the noise that is, Legion elections! For the nominees of the leadership roles across the legion it is now question time (Q&A) so apologies that my input to this months news letter is so brief. I am currently engaged in answering all my questions diligently. Be rest assured we are still also working away in the background making sure FISD continues to tick along smoothly. 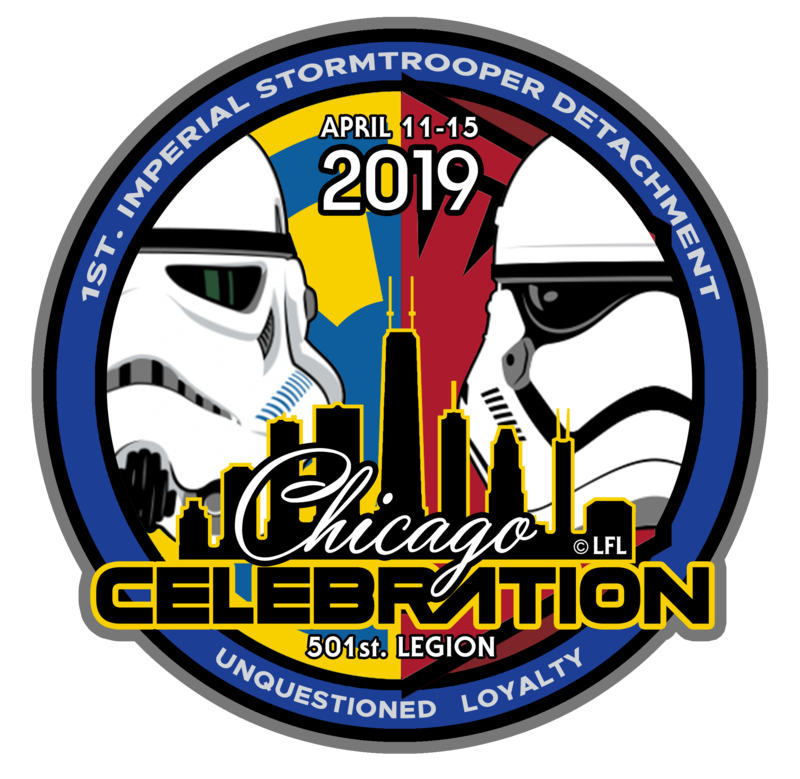 You may have noticed the sales thread is now open for our Chicago Celebration patch, and I must say what a fantastic design it is, thank you to Jason / TK-16142 / “DeathTrap” for exposing us to your talent sir! Please jump on this quickly as we have a narrow window of opportunity to get these made and shipped out in time for April Celebration Chicago.The link and further details can be found further down in the "Available Merch" section. We also have a crazy new T-shirt design, which I love, Thank you to another talented member Nate "The Snake" TK-87666, not only is he the designer, but this is his line of work, so we have a very special price. The higher the order quantity the cheaper these babies get. Full details also found in the Available Merch section of the newsletter. Get on it!! Things going to plan, I feel we are in for a BIG year, drama free and fun filled, hope to see you all in the March Edition. We are fast approaching our 900th EIB award and it is great to see the standards continually improving. As well as the DO team and Attaché staff, there seems to be an ever-growing trend across the trooping community to aim for, and encourage progression to, the higher levels. Whilst, of course, this is not essential in any way, it is great to see so many amazing looking troopers on the frontline. As many know, it is easier to aim for this right from the start of a build, adding those finer details to the build list. Those subtle upgrades or specific build methods can really make a positive difference to the finished results. Although we are in the midst of election matters, the DO team will still be on hand to assist our troopers reach their targets. With elections starting at the end of February it's time to check your detachment affiliation. OK so you look at your Legion profile and it shows that your detachment affiliation to FISD is pending, or otherwise incorrect. Why does this happen, and what is detachment affiliation anyway, and what will FISD do about it? The answer is that detachment affiliation is only ever used once a year, and for one purpose. The only time the Legion ever uses it for anything is to determine who can run for DL and who can vote in detachment elections. That's it. Otherwise it is pretty much ignored and not used for anything. The process of validating detachment membership is cumbersome and time consuming because people use different email information between their Legion and detachment logins, and that there is no way to bulk update the rosters. 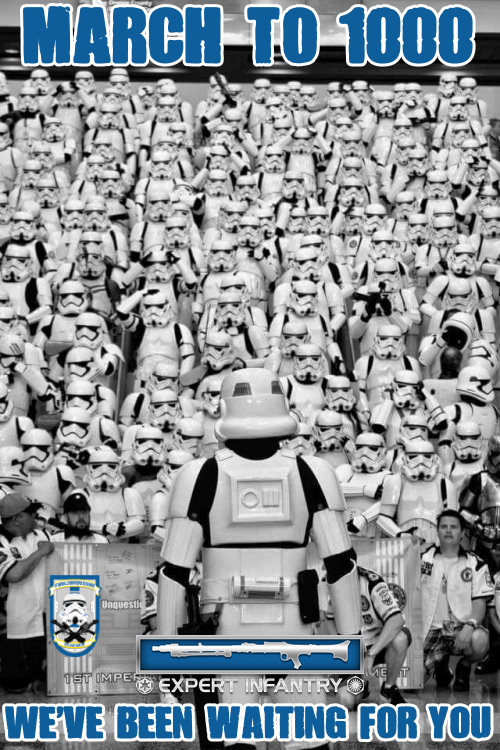 For a small detachment it is not a big deal to do this manually, but for a detachment the size of FISD with hundreds and soon thousands of 501st members, it's impossible. 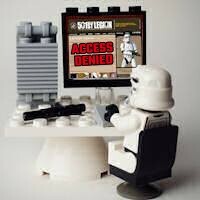 Fortunately we have technical folk both on FISD and in the Legion web team. Once a year they take a feed from FISD's database and do a bulk update on the Legion database. This occurs right before the election cycle starts and is done once per year. 1) Ensure the email address you use on the Legion & FISD boards are the exact same. 2) Ensure that your FISD profile has the correct TKID. 3) IMPORTANT! You MUST be in the right security group. 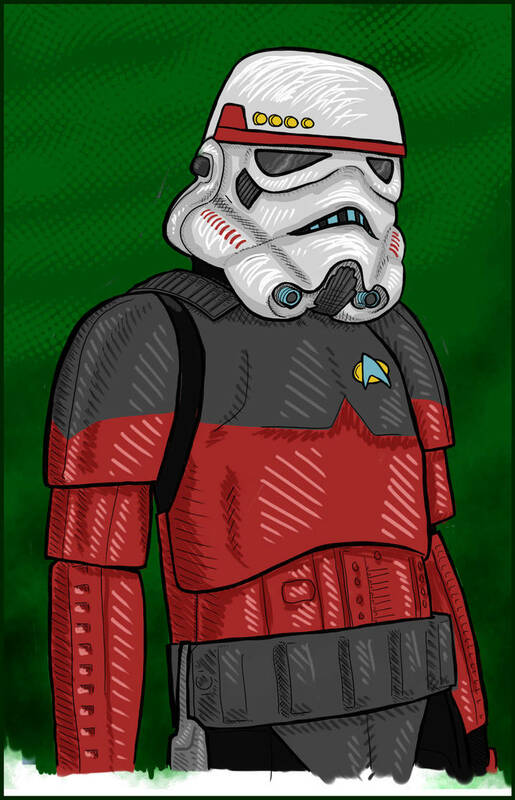 It should be "501st Stormtrooper" in order for the automated system to pull you over. This thread is where you get your detachment access updated. 4) If after the bulk update is complete and your profile is still not updated, and you are 100% sure your info is in sync between the two boards, then ask for to the Legion web team. They should get feedback on why this isn't working. 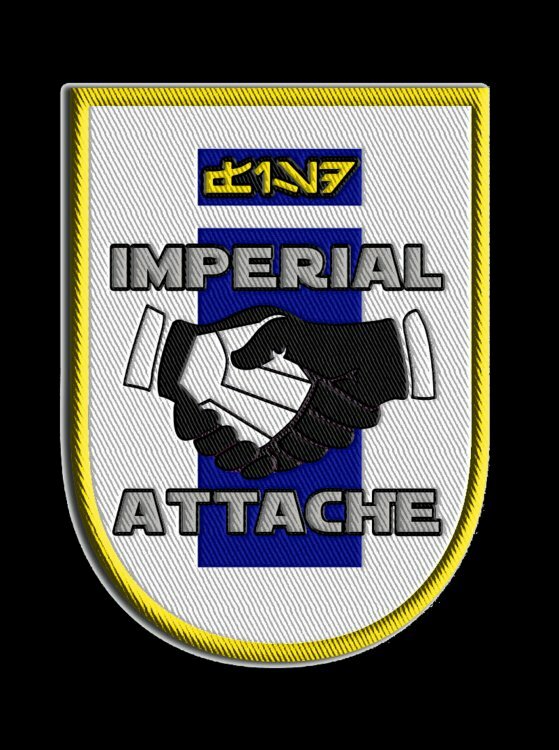 To check detachment affiliation go to the 501st Mb database here then click Your Profile Data. 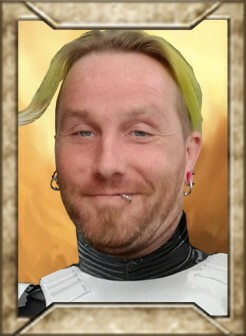 Greetings Troopers! Legion elections are upon us. That's right. everyone's favorite time of year is back again for 2019. 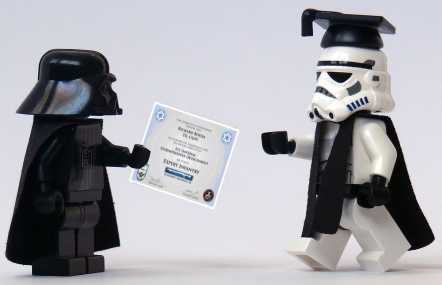 In February, every member of the 501st has the opportunity to exercise their Imperial democratic right to choose their leaders, at both the local and the global level. You will be able to vote for Legion Commanding Officer, Garrison Commanding Officer (or Outpost Leader), and - where you are registered and active in one or more Detachments, for the respective Detachment Leaders. With the Legion election period about to start February 2nd, the membership database will be in lock down, during this time new member applications through your local garrison/outpost can not be finalized, you may however still submit them but they won't be processed until the end of this cycle. This does not affect the addition of any new costumes to an active members roster/profile, however it does affect any membership status changes ie: active / reserve / retired and any personal information updates. The period of membership database lockdown for 2019 starts Feb 1 and ends @ Feb 19 (GMT). Who says time doesn’t fly - you look one way and by the time you look back a month is gone. 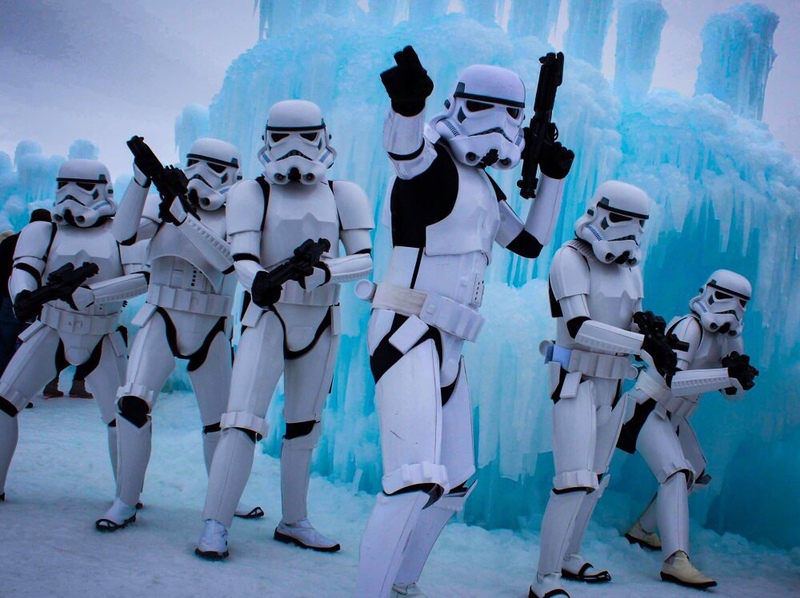 This month has already hit some of us Troopers with Hoth-like temperatures at -38°F up here in the North. Redefining unquestioned loyalty, and the question of when the Snow Trooper rotation will take place, join me in honouring TK - 42775 James, thanks for sharing the images as well as a big thank you to Shawn Gordon TK-6942 for setting the shoot up. 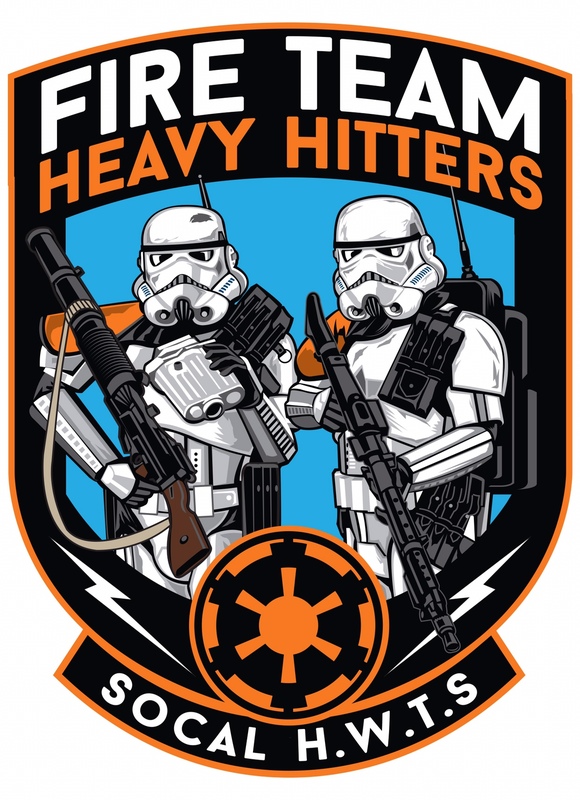 The Fire Team program is completely optional, and is intended to help form a common identity and spirit of camaraderie among 501st Legion stormtroopers in the same geographic area/garrison that troop together. 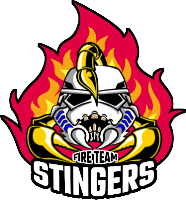 Fire Teams are not officially recognized by the 501st Legion nor the FISD, although they will be able to access a Fire Team sub-forum on the detachment website. 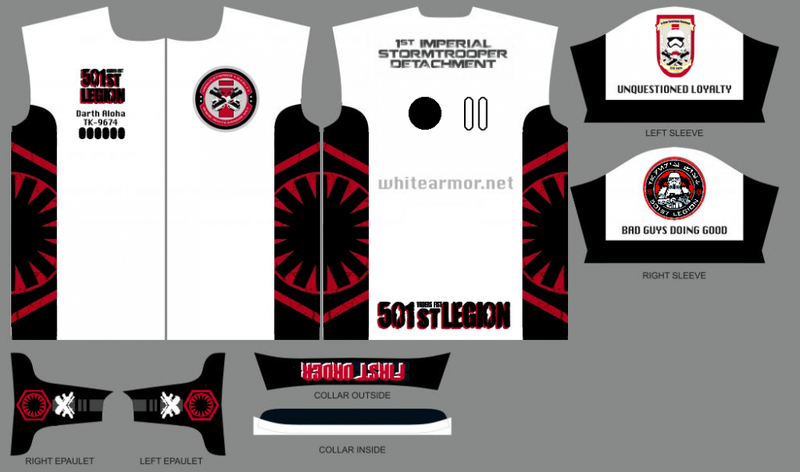 Because Fire Teams are unofficial groups, they cannot have any 501st or FISD markings, including 501st Legion, 501st, Legion logos, Vader's Fist etc. on their branding or logos. However, Teams will be allowed to use any unique markings at informal events provided they follow these guidelines. No 501st or FISD markings. Period. 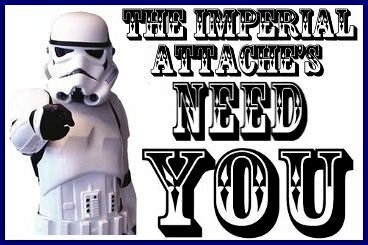 Any active Legion member with a valid stormtrooper costume in the specified geographic area can join. The Team can create a name, logo, backstory, etc. for itself (names usually contain Fire Team, though this isn't required). A list of each Team (with their specific "Teams Name") with a current list their members will be kept in the Fire Team sub-forum on the Detachment website. A Team member must troop at least twice per year to maintain status as a member. Two or more Team members must troop together once per year to keep the group active. Again, no 501st or FISD markings. Merchandising will only be limited by the imagination of the Fire Team. Any merchandising should be submitted to the detachment, or through proper Legion channels. A master list of all Fire Team merchandise (with photos) will be posted in the Fire Team sub-forum. If any of these guidelines are violated, the group will be disbanded. Here is a link to the Fire Team area: http://www.whitearmor.net/forum/forum/130-fire-team-area/ 501st membership is needed to view this area. This is a great program that is strictly just for fun and it also allows fellow TK's get to know each other better. I would love to help any Garrison/area get a Fire Team started, just let me know what I can do to help. In other business, just a reminder, if you have an addition, removal or any other change in you Fire Team's status, send me a PM here and I'll get you all squared away. Who would have thought when this program started it would progress so well that we now see our 50th Fire Team, congratulations to Southern California Garrison (Southern California) - Fire Team Heavy Hitters. Name: Fire Team Gamma Squad! What Other Costumes Do You Have? Many of us get bitten by the build bug and just can't stop at one, here's a thread showing what costumes others have and what they are working on. 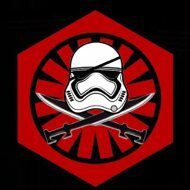 An inspirational post from James TK42775 "James Whitley"
for those wondering about Joining the 501st and have PTSD / Anxiety issues. You can find the post here. Congratulations on attending your first event James, we salute you and thank you for your service. The last time I went to Fan Expo, I got into the north building with my hubby to see who we could see, celebrity-wise. Unfortunately, I was on a mobility scooter and the traffic in that building was parking-lot-o-sardines. I got to a certain point and then just could not move. Because of the size of the scooter, it wasn't like I could squeeze through the crowd to get out. Skip forward to me on a mobility scooter in the middle of what seemed like a million people with no apparent way out, in the middle of a full-blown anxiety/panic attack. Tears. Hypervenitillation. Starting to shut down. It was horrid. A Stormtrooper from the 501st asked my hubby if I was okay. He explained my claustrophobia and panic disorder, and the fact that we couldn't even move to escape. The Stormtrooper said to hang on, that he'd be right back. Next thing I know, there's a commotion down the laneway and I'm hearing Stormtrooper voices hollering, "Make way! Move along! Empire business! Stand aside!" They cleared the pathway like the parting of the red bloody sea. Next thing I knew, my hubby and I were being motioned to move down the newly cleared pathway, with 'Troopers on either side of the walkway, holding the crowd back just enough so the scooter could pass. I thanked them as much as I could through my panic... my hubby did more thanking than I did because I was just trying to breathe. I found it truly touching that these folks stepped up and helped a person in distress, when they were just there to get their geek on. 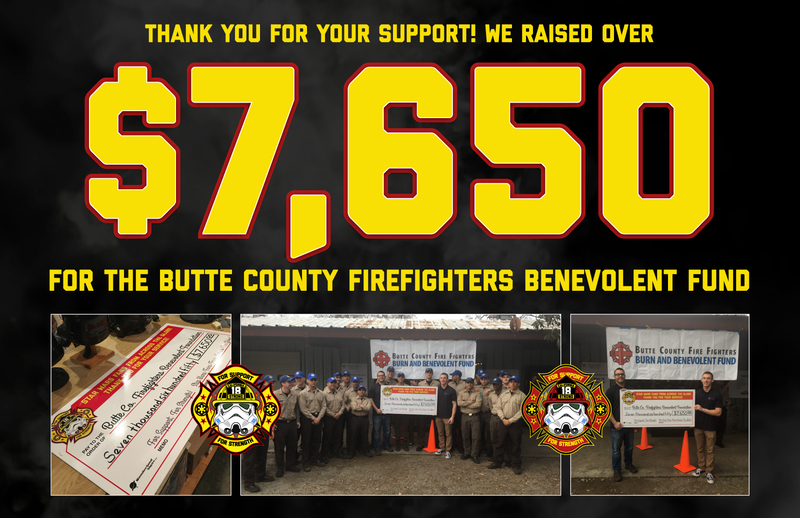 A few weeks ago - I did a run of personal patches to support the Butte County Firefighters Fund, a pot of money accessible by active duty firefighters during times of financial instability. 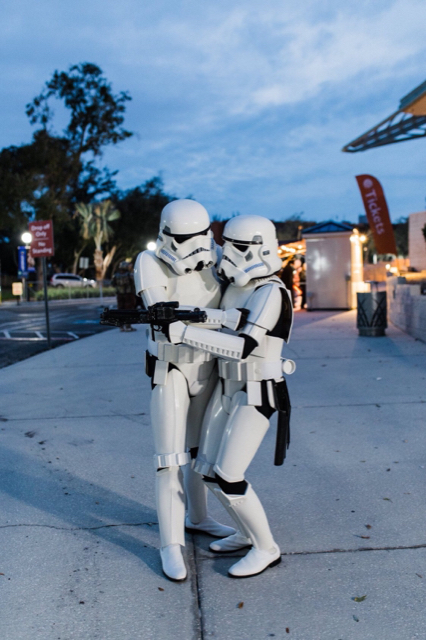 Though this was unofficial, it absolutely could not have happened without the incredible support of the 501st Community and specific members SL 39549 in the Golden Gate Garrison and DD67760 of Florida Garrison (Everglades Outpost.) I am very proud to share the total raised as of Saturday, which has gone up since then. I'm humbled and honored to be able to spearhead and manage this run -I couldn't think of a better group to give it to in a time of need. Amazing community of fans in action here, we truly are - Bad Guys Doin' Really, really Good. Thank you everyone for your support, I hope to see you rockin' 'em at Celebration! Celebration Bash - Have You Purchase Your Ticket? Those with troop logs please post a separate troop report as it is easier to link too. 1. 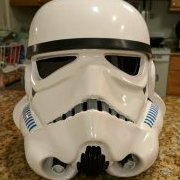 Mark @TK-42134 is an enthusiastic trooper hailing from California who is eager to assist fellow troopers with their build threads. He was inspired by fellow attaches during his approval process. We look forward to his contributions to the team. Fellow Attaches. Happy February. The Attache Check-in Process for 2019 has begun a little earlier than last year! As your ambassador, one of my primary roles here is to make sure you are active. It is vital to the Attaches on this board to be the continued beacons and light to the new troopers joining the boards. As many of you are aware, the FISD is currently in our March to 1000 program. 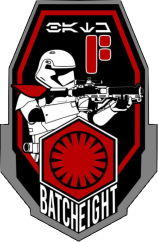 Our goal is to reach the one thousand mark of Troopers who have earned their Expert Infantry Badge, and although we are well on our way to this goal and have just reached the 890 mark! The amount of approved submissions is increasing (over 80 this year alone) thanks to the dedication of those willing to go the "extra mile" toward screen accuracy. Congratulations to Jason TK-16142 “DeathTrap”, the winner of this contest, you had the command staff’s favorite design. In addition to mucho kudos, you will also be getting two free patches, a Kylo Ren bobblehead and a TLJ baseball cap, we will be in contact soon. Thank you to everyone for entering and donating your time and talents! "Andrew and I have reviewed the proof, and we've asked for some updates. Should see that in about a week or so when the factory is back online. I've received final shipping quotes for International and have been systematically messaging folks with totals to pay, and I should be finished with those this week, so we are almost there!!" 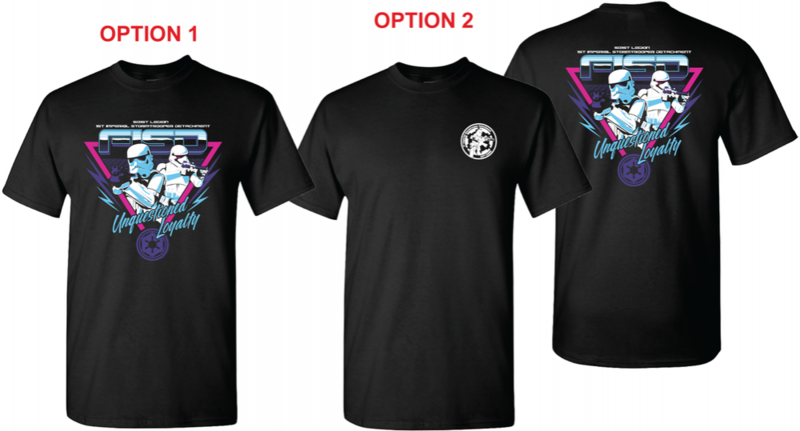 Any queries with regard to shipping or your order please PM chris "Berbs42"
Metallic Gold Thread for the word "Celebration"
Nate "The Snake" TK-87666 has posted the final 2 options of the design of his outrun tee and interest and the run is now live here. Pricing still may drop dependant on numbers ordered $10/11 USD, refunds for differences may be refunds will be issued after products have shipped. I would just like to personally say thank you to Paul, not only for the help and guidance he has given me and others over this past term but also for supporting his members at large, as many of you would have seen on the legion boards. It's been an honor and a privilege working with you and I hope we see you back at the helm in the not too distant future.